Business users… why not try our monthly car hire service? 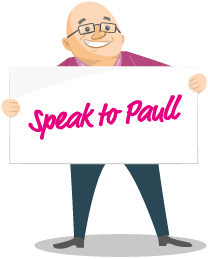 Whatever your vehicle hire requirements, Paull’s has a monthly vehicle hire solution for you…So give us a call! If you’re a business user, we offer rental options across our full range of vehicles for one, two, three, six and 12 monthly rental periods across the entire country. Our monthly car and van rental service… well, it does exactly what it says. We will rent you passenger car or van on a monthly contract with the benefits of a long-term rental price, that’s a win-win for you! We’ve a huge selection of rental cars to choose from at our location in Leicester. Whether you need a hire car for one, two, three, six or twelve months, we’ll make sure you get a great deal. There’s no large capital outlay and all you need to do is pay a month in advance and the vehicle is yours! Our monthly rental service is not just limited to cars. We also offer a wider range of rental vans and commercial vehicles to meet your business needs. So, whether you’re making deliveries or transporting tools and equipment, you’re sure to find the van you need at Paull’s. Like our monthly car hire, our rental vans are available for one, two, three, six and twelve-month rental periods. Whether you choose a car or van, we’ll supply a plain vehicle, so you’ll be able to decal it with your company name and contact details (if you commit to a 12 month vehicle hire, we’ll even decal it for you!). Take a look at our rental vehicles to see what’s available for you. Why Use Monthly Car & Van Hire? Month-by-month vehicle rental is great if you’ve got a young business or a business that needs flexibility with its fleet because you are not tied into long contracts. In addition, there is NO capital outlay and NO servicing costs, your vehicle won’t depreciate, and it will look immaculate and professional all the time. Here are some more reasons why Month-by-Month is an ideal business solution. Booking couldn’t be easier. Just give us a call on 0116 3400 007 and we’ll be happy to discuss your monthly vehicle rental needs. You can even open a business car hire account with us, if you wish. All we require is a one month advance payment on the vehicle of your choice regardless of the length of the hire period. We’ll then take advance payments monthly. All this is done via your debit / credit card. Note: if you’re looking for something a bit more short-term, then our daily car rental service might be a better fit for you. Once you’ve booked your monthly car hire, simply arrange a time to collect it from our location near Leicester city centre. Alternatively, we can deliver it to your chosen location, so you can get on with what’s most important – running your business! All prices given are plus VAT at 20% (but this is subject to change). The vehicle must be insured by your business on a fully comprehensive insurance policy, a copy of which we will require for our records. A list of insurance companies can specialising in insuring hire vehicles can be supplied. We can also offer insurance on the vehicle of your choice – extra costs are involved, ask for details.